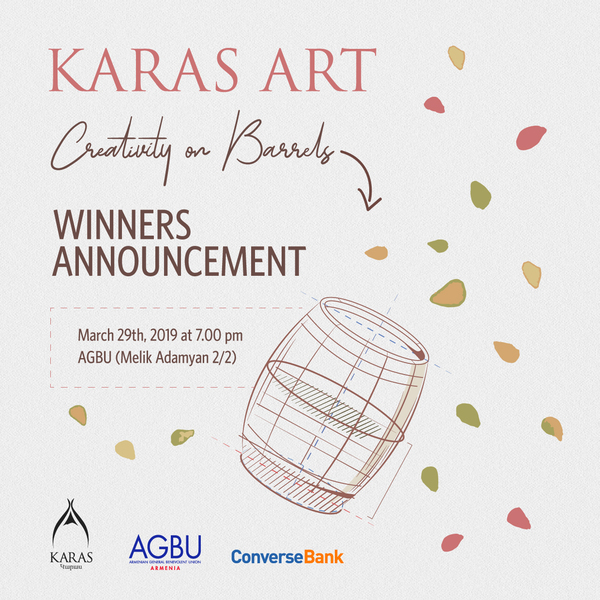 Karas Wines and Converse Bank companies, managed by Argentine businessman of Armenian origin, philanthropist Eduardo Eurnekian, summarized the results of the contest announced for Armenian artists. The contest was conducted within the framework of Karas Art program with Converse Bank’s financial support. Within the framework of the contest, artists were offered to present sketches or digital samples of distinctive art works, to be afterwards painted manually on wine barrels. "The contest for illustration of barrels is part of the common vision of the trademark - promoting the local creative environment and reviving the rich cultural heritage and interesting traditions of winemaking. Our goal is to encourage and incentivize Armenian painters who are very talented and are able to express their emotions and emotional state with the help of incredible colors. Wine production is also a kind of art, where devotion and love of each team member are needed to create a perfect artwork", - said Juliana Del Aguila Eurnekian, director of Karas Wines company. 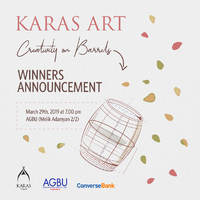 According to her, Karas Art is a long-term project, within the framework of which Karas Wines will regularly conduct interesting contests and initiatives. "Encouragement of culture and art is Converse Bank’s line of action, one of the most important components of our social programs. Every year the Bank gets involved in more than a dozen of cultural initiatives. We were delighted to be part of this interesting event initiated by our Group member and partner Karas Wines", - said Arthur Hakobyan, Chief Executive Officer of Converse Bank, the financial supporter of the contest. At the end of the event, the artists who had submitted the best 3 sketches were awarded with money prizes.